Textbook Mommy: Holiday Decorating With Sears - Plus A Giveaway! 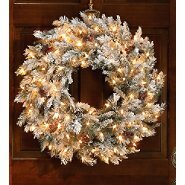 Holiday Decorating With Sears - Plus A Giveaway! This holiday season think Sears for all your household decorating needs! 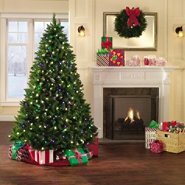 Sears carries a wide variety of trees, ornaments, garland, indoor/outdoor lights, stockings, and more. You can shop in store or online and you can even pay over time with their handy layaway service. Want to cash in on extra savings while doing your holiday shopping? Join the Sears Shop Your Way rewards program here. Every dollar you spend shopping with Sears earns you points that can be redeemed for future purchases. As a Shop Your Way rewards member you will also get exclusive weekly deals for even more savings! From now until November 26, 2012 you can head over to Sears and enter to win a holiday home makeover with Ty Pennington. This makeover carries a value of $4,500! Plus, each entry into the sweepstakes will result in Sears donating $1.00 to the Rebuilding Together organization. So head on over and enter to win! Win A Sears Gift Card! (1) Lucky reader of Textbook Mommy is going to win a $15.00 Sears gift card. Open to U.S. Residents, ages 18 and over. Winner will have 48 hours to respond to winning email or an alternate winner will be selected. Entry is via Rafflecopter form below. *Disclosure: I was provided a gift card from the above mentioned company and through my partnership with Smiley360.com in exchange for this blog post. All opinions are my own.